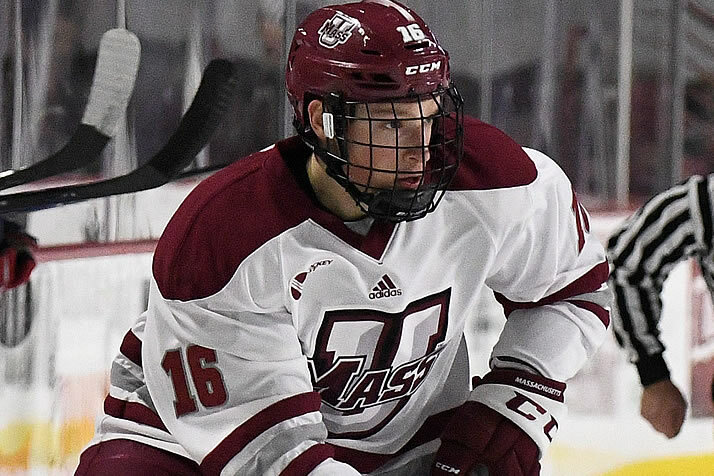 TSN Schedule Set for January - College Hockey, Inc.
Canadian National Junior Team defenseman Cale Makar is featured three times in January. TSN’s coverage of NCAA hockey features 33 games in January, highlighted by a televised doubleheader on Sunday, Jan. 7, and nine women’s games that will be available on TSN GO. This marks the fourth year of TSN and College Hockey Inc. collaborating to bring the excitement of NCAA hockey to a nationwide Canadian audience. Sunday’s men’s doubleheader, which can be seen on TSN2 and TSN GO, begins with Michigan visiting No. 2 Notre Dame at 3 p.m. ET. The Fighting Irish are led by Toronto native and Canadian Olympic team candidate Jake Evans, who recently won the Spengler Cup as a member of Team Canada. At 7 p.m. the nation’s No. 1 team, St. Cloud State – led by U.S. National Junior Team head coach Bob Motzko – faces in-state rival and 10th-ranked Minnesota. Schedule subject to change. Check collegehockeyinc.com for updated schedule.